Lipstick junkie are you? 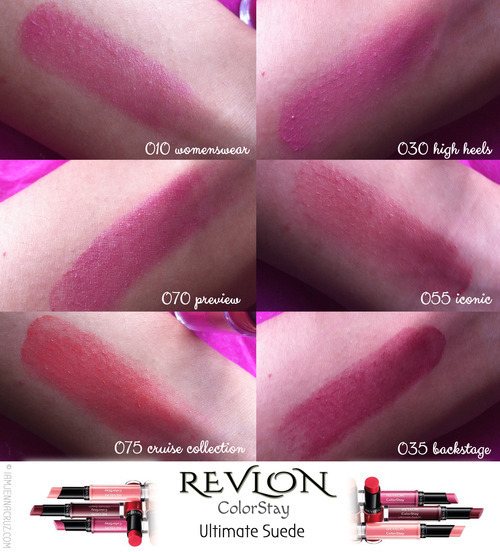 If yes, have you tried this Revlon Colorstay Ultimate Suede™ Lipstick? If No, will you give it a try? 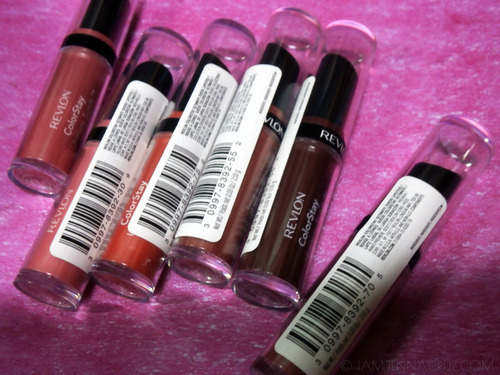 In between my 1st and 2nd year in college, I've been a lipstick/gloss lover and during that time I'm usually into lip-glosses that tastes sweet. Haha! I know you got what I mean, lol. I'm really always happy to find new products and try them, if it's good, for sure I'll treasure them and buy again when consumed but when na-ah I don't like it, buh-bye. 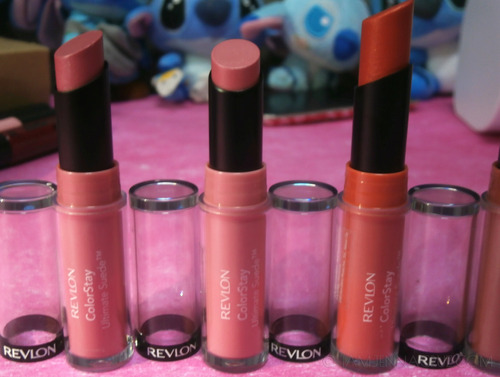 And the latest on my collection is this Ultimate Suede Lipstick from REVLON. Is your lipstick giving you both moisture and wear? This velvety soft formula with moisturizing shea butter and aloe is food proof and doesn't quit. Apply once and go. With Shea butter & Aloe. 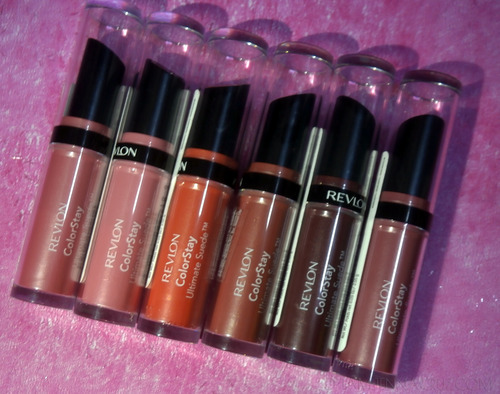 Apply your favorite shade of Revlon ColorStay Ultimate Suede onto clean, smooth lips. Make a statement with a modern matte finish. 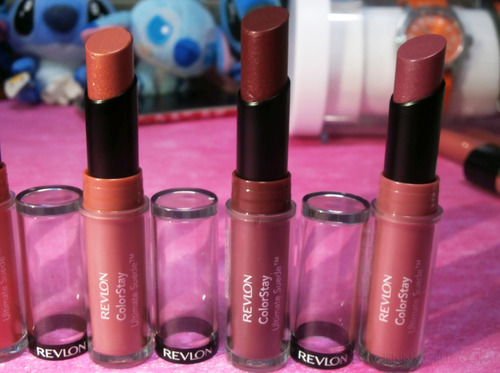 Revlon ColorStay Ultimate Suede can be worn with or without a Lip-liner. The packaging; love the crystal clear caps that shows you what the shades look like though its body also screams the shade of the lipstick. 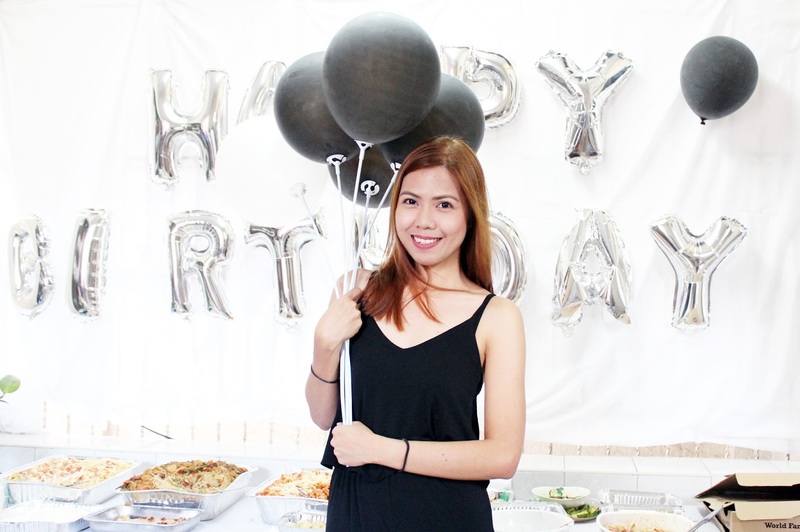 A bit effect of shimmering. 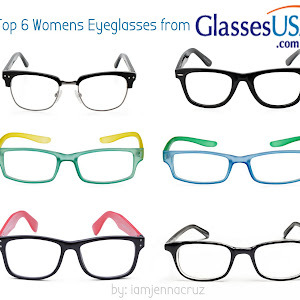 Easy to apply and glides smoothly. It stays longer than expected but it doesn't last all day without reapplying. Really moisturizing on the 1st-2nd glides. One thing that I hate about it, is that after a couple of minutes applying or when you smack your lips together, it tends to become a little bit sticky. It's not a good feeling for me but overall it's superb. I'm really in love with the shades and again there's 20 available shades. Will I recommend this? Yes. I really find this lipstick amazing and the packaging is really cute and you might not know this lipstick looks really great on your lips, no harm in trying, lovelies. 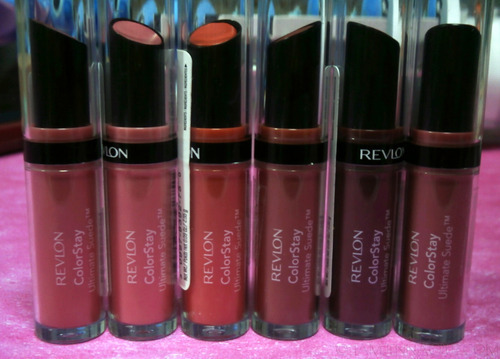 For daily updates like REVLON and as well as Mr. Eman De Leon on facebook. 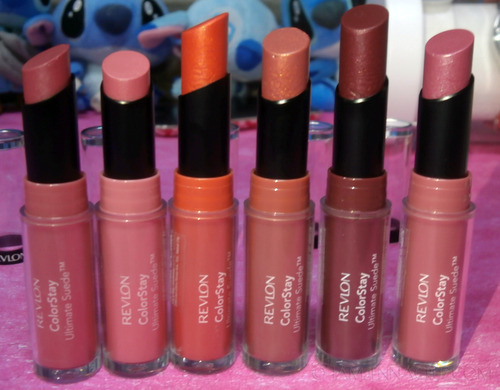 products ..lipstick in Revlon makes lips soft..! !